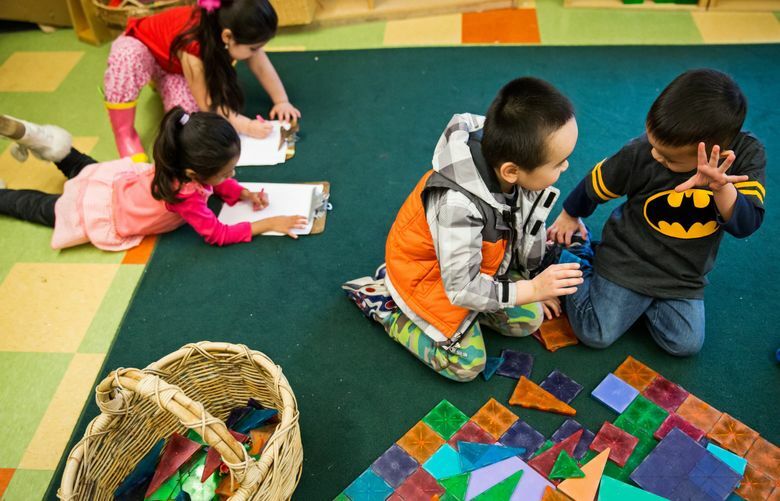 The expansion of the preschool program starting in the 2019-2020 school year could earn Seattle a gold medal in the next report. Why didn’t the program get the gold? In a word, access. The program enrolls fewer than 30 percent of the city’s total 4-year-old population, said GG Weisenfeld, a co-author of the report and assistant research professor with NIEER and Rutgers. Seattle fell about six percentage points short of that mark, according to the census. Because voters in Seattle overwhelmingly approved the expansion of the preschool program from 1,200 to 2,500 students over the next seven years, Weisenfeld says she’s convinced that Seattle, if it keeps up the program quality, “will be moving into the gold category.” The data used in report is from the Seattle Preschool Program’s first two years of its four-year pilot phase, the 2015-2016 and 2016-2017 school years. NIEER, along with the University of Washington, also conducts the Seattle Preschool Program’s annual external evaluation. The city paid $457,000 for its most recent evaluation, which showed the program mostly kept pace with other highly regarded citywide programs in Boston, New York and San Antonio. For this report, researchers gathered data from each city on factors such as teacher salaries, class sizes, teacher education levels, and health screening and referrals to evaluate whether programs met or fell short of 10 quality benchmarks. Then, using CityHealth’s medal rating system, cities were awarded bronze, silver or gold based on how many benchmarks they met. Cities without Pre-K programs, such as San Diego, were evaluated based on how they implemented their state’s program.